There are so many great hairstyles out there these days- so many people getting their "creative" on. But in order to follow all those tutorials you find on Pinterest (or sometimes even our blog) you absolutely need to know the basics! That is why we've started a series on our YouTube channel called "Back to Basics". Today we are sharing with you our French Braid tutorial. If you don't know how to do a french braid, we hope this helps! And hopefully by the end of the video you will be able to create one of those fancy hairstyles in the pictures up top! Great video :D But you might want to change the music in it or Youtube will remove it for copyright reasons. That's not a rule on YT anymore & hasn't been for a while now. All of our videos have copyrighted songs on them. I love french braids! 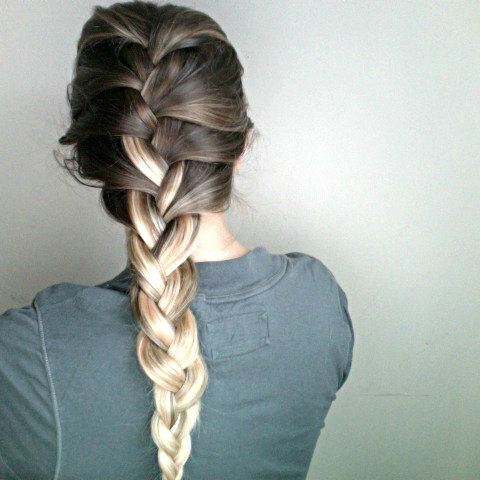 I am always throwing my hair up in some sort of braid! great video!